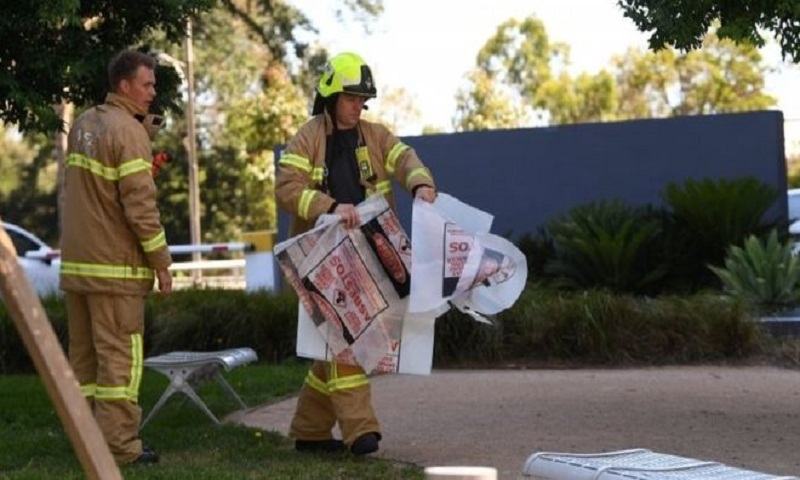 Australian authorities are investigating suspicious packages found at foreign consulates in Canberra and Melbourne, police have confirmed. Melbourne's Metropolitan Fire Brigade said it had been called to "a number of incidents" across the city. UK and Swiss consulates are among several reportedly affected. "The packages are being examined by attending emergency services. The circumstances are being investigated," the Australian Federal Police said. Local media reported that emergency workers had been seen at consulates belonging to India, South Korea, New Zealand, Greece and Italy. The Swiss consulate in Melbourne was sent a small envelope containing a substance labelled "asbestos", said Peter Erb, the husband of honorary consul Manuela Erb. "We immediately put the envelope in another bag and rang the emergency service and they came and took it away," he told the BBC. "We do know now that the item was not likely a bio-hazard." On Monday, suspicious parcels containing a white substance were sent to Argentina's consulate in Sydney. They were later found to be non-toxic.